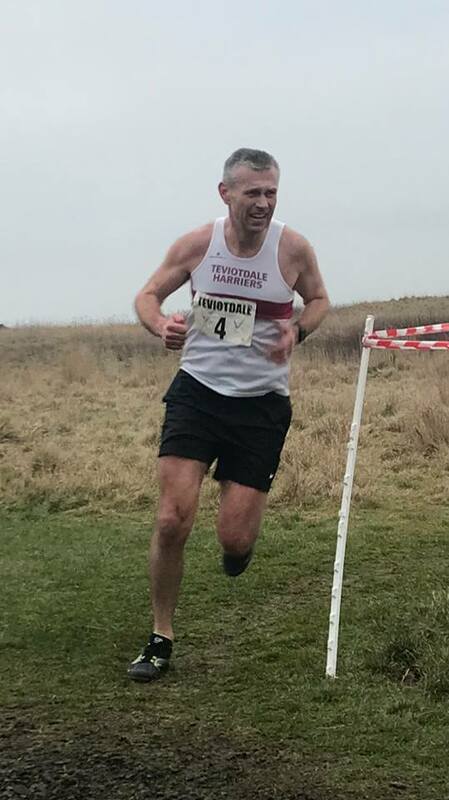 On Saturday 19th January 2019 a smaller number than usual of Teviotdale Harriers headed up to Livingston for East District League Race 3 writes Donna Inglis. With 6 juniors competing it was a case of “quality not quantity” as each performed to the best of their abilities and secured great finishing positions for their club. 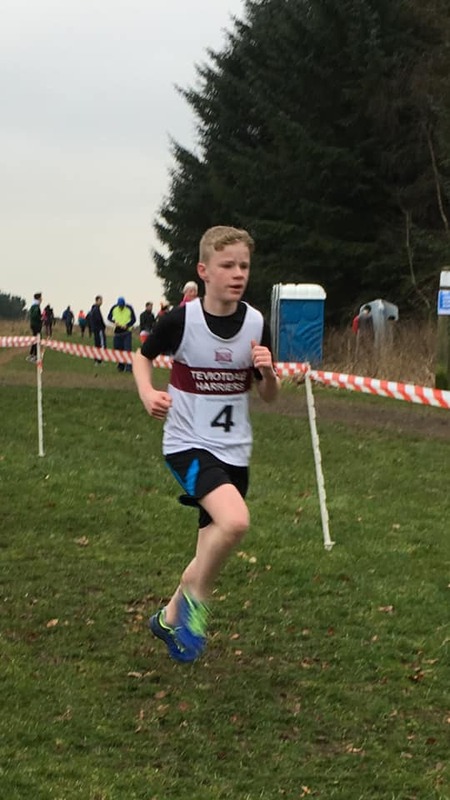 First to run for Teviotdale was Irvine Welsh in the U13 boys category, with 91 competitors overall, Irvine finished 26th in a time of 12:28, a great start for the junior harriers. 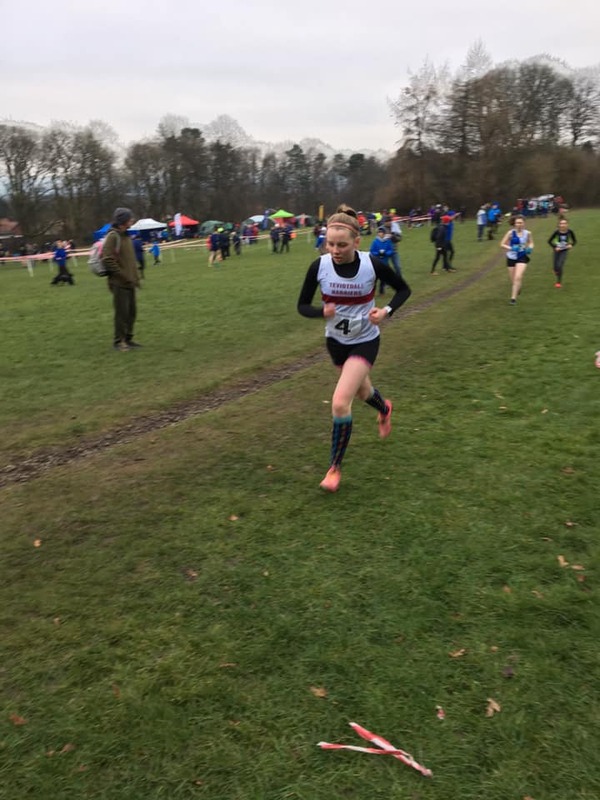 Next away were the U15 & U17 girls and after a strong, determined run, U17 Eilidh Jaffray crossed the line in 5th position overall, a fantastic achievement in a time of 15:37. Team mate Maisie Ballantyne in the younger category, U15, soon followed completing her race in 18:44, 37th position. It was the turn of the U15 boys next and only 3 spaces separated the 2 harriers. Robbie Welsh finished in 36th position in a time of 16:32 whilst Calum Renwick was 39th in 17:04. Last race for our juniors was the U17 category with Fraser Clyne competing for Teviotdale, he completed in 23:08 and secured a fantastic 11th position. It was then the turn of the seniors, with 4 men and one woman competing. Ishbel Inglis, now competing as a senior lady completed her route which consisted of 2 large laps in 35:24, position 114th. 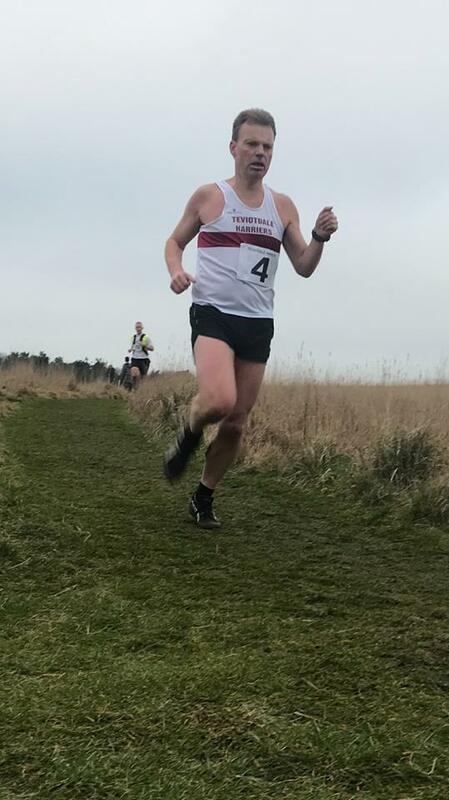 Senior men then lined up for their 3 large lap route and finished as follows: Raymond Jaffray 129th in 38:37, Alan Inglis 179th in 41:18, Alister Biggar 214th in 43:33 and President Alan Coltman 263rd in 52:29. 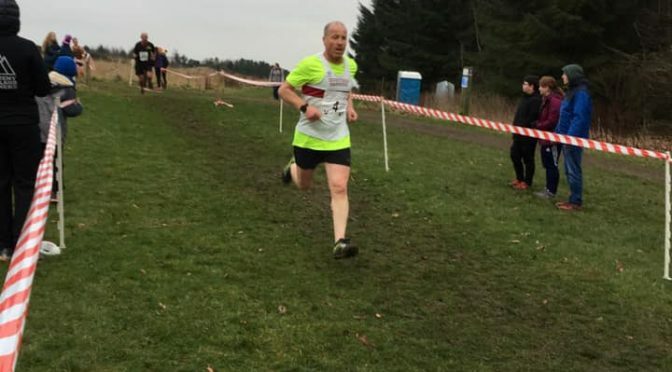 Next outing for the more senior Teviotdale Harriers, age 40+ will be the Scottish Masters Cross Country Championships in Hawick on Saturday 2nd February.